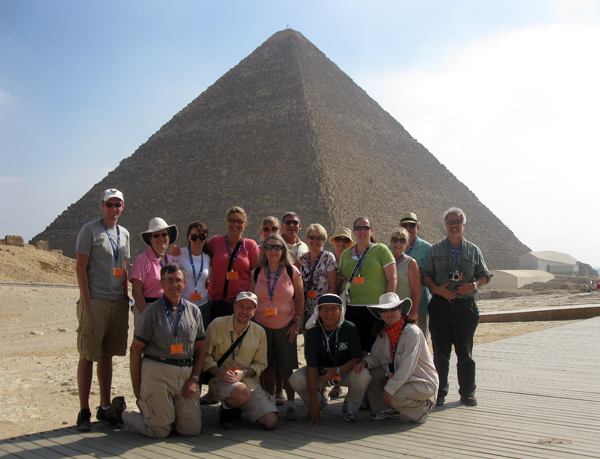 The Pyramid of Khufu (known as Cheops by the Greeks) is the largest and oldest pyramid at Giza, hence its nickname “the Great Pyramid.” The second largest is the Pyramid of Khafre, son of Khufu. 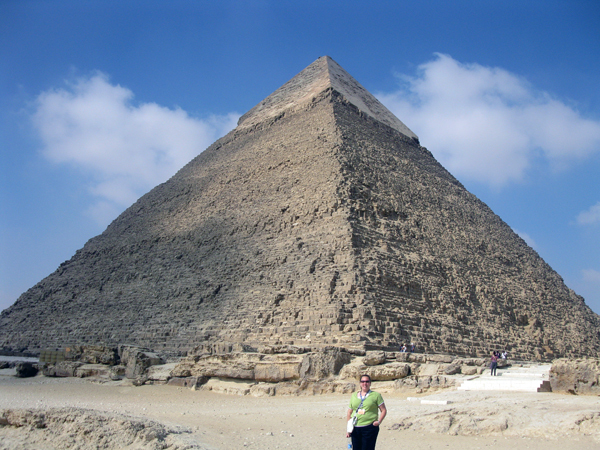 Khafre had the audacity to create the illusion that his pyramid is larger than that of his father by placing it on higher ground and giving it a steeper angle of incline. Khafre’s son Menkaure apparently did not have the same daddy issues, or perhaps he ran into budget restraints. In any case, his pyramid is far smaller than the other two. Somehow, he seems the bigger man for it. All three were built in the 26th century BCE. 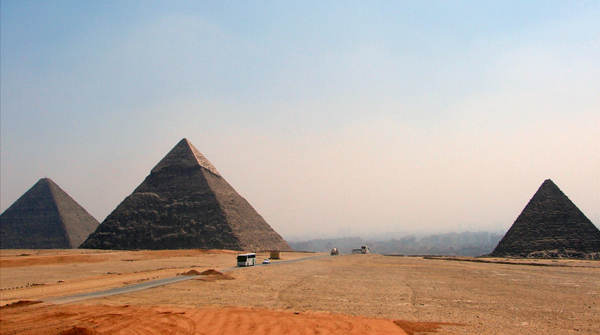 Each pyramid is part of a complex that includes temples, boat pits, small pyramids known as Queens Pyramids, and causeways connecting various structures. Beyond the pyramid complex is a workers’ village. The scholarly consensus seems to be that the pyramids were built by paid laborers, not slaves, probably during the Nile flood season, when there was no farm work to be done. 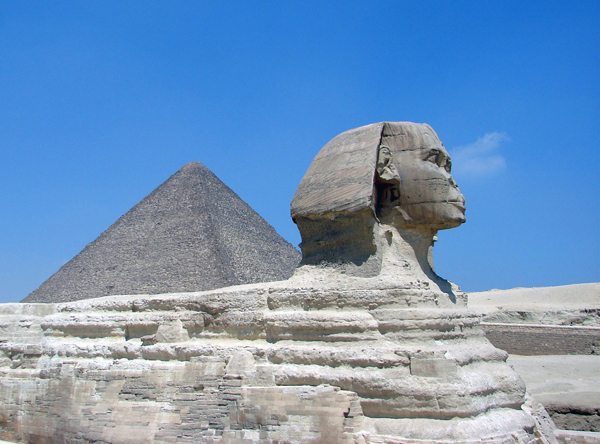 Also on the Giza Plateau, you’ll find the Great Sphinx, which most scholars agree was built by Khafre, and the Solar Boat, one of the ceremonial boats buried in each pyramid complex. 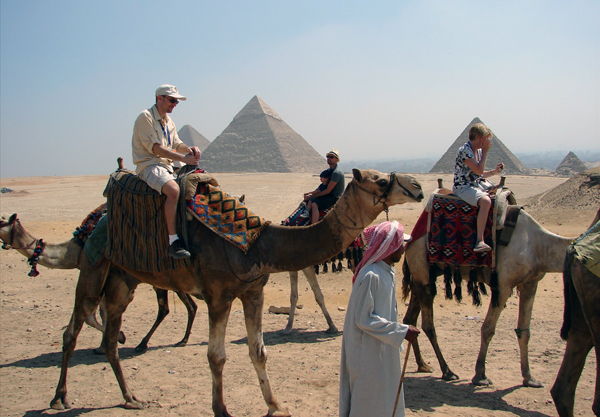 Click to see Egypt tours that include visits to Giza. 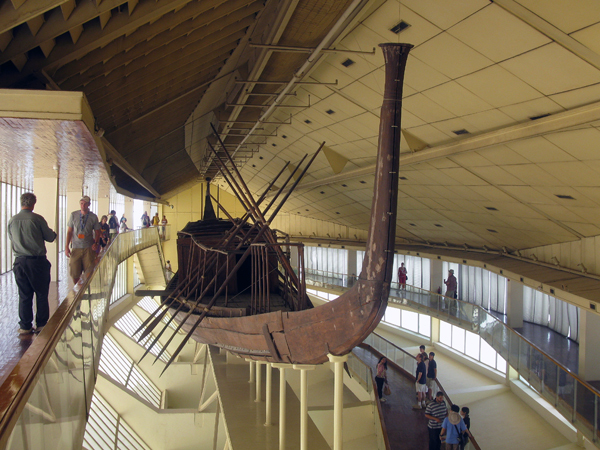 This entry was posted in Egypt and tagged Cairo, cheops, Egypt, Giza, giza necropolis, giza pyramids, great pyramid, great sphinx, khufu, mankaure, Nile, pyramid of khafre, pyramids, solar boat by yalla2013. Bookmark the permalink.